Lancaster Products high-intensity K-series mixers can mix and granulate in a single machine in a single operation. Our proprietary mixing knowledge and technology, our counter-current mixers are a high-value, high-throughput granulation solution for many applications. Because our mixers can mix and granulate in the same process, there are no segregation problems during handling and it ensures a homogeneous granule. Powders granulated in a Lancaster K-Series mixer provide uniform mixtures and flow. The granulation process in a Lancaster Mixer optimizes the overall mix quality and reduces the use of binders, water and minor ingredients due to the efficient dispersion of ingredients throughout the mix. The granulation process also allows for a dust free product for handling, bagging and transportation. In addition to working with powders, for certain applications, the mixer can act as a rough milling device, using the high speed rotor to break down non-uniform or lumpy materials into a powder in order to build the material back up into a granule. We are a solutions company dedicated to improving material mixing and granulating. Our versatile Lancaster High-Shear Counter Current Mixer can mix and granulate in one machine and in one process. We have acquired extensive mixing expertise that allows us to advise on mix design and outcome improvements. Our experienced engineers work with our customers to understand their requirements and then design a mix recipe that achieves or exceeds their goals. We address granulation-related objectives including mixing & granulating cycle times, reduction of binders or minor additives, particle size & size distribution, yields at specific size ranges, particle shape or sphericity, and crush strength all can be achieved. The key benefit mixing and granulating in a single process is the ability to create a homogenous mix that is transformed into granules which are consistent in their composition throughout the batch and from batch to batch. Using our proprietary mixing knowledge and technology, Lancaster Products high-intensity K-series mixers can mix and granulate in a single machine. Within each mixer, the pan rotates clockwise and the tooling rotates counterclockwise, imparting a tremendous amount of energy into each batch. 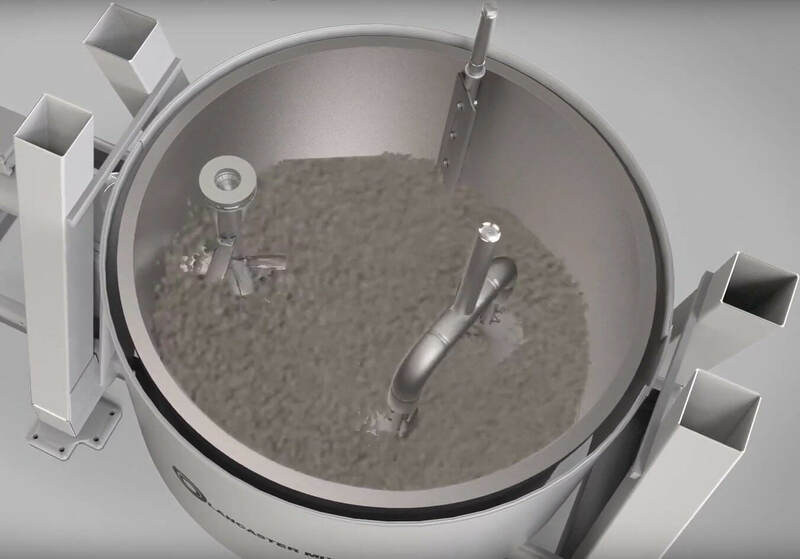 Each piece of tooling in the mixer is independently controlled and the counter-current shearing action creates a rolling motion at the proper settings – allowing granules to form. Like a snowball rolling down a hill, granules and pellets can grow larger with additional time in the mixer – all completely at your control. Recovery of waste streams and dust from a steel mill. These waste streams can include floor sweeping, dust collected from the cupola and other general bag house dust collected throughout the process. These materials can then be combined and blended with a binding agent to allow reintroduction into the melting furnace. Blend and granulation for production of iron ore pellets. Blending the iron ore with the bentonite prior to entering the standard balling drum ensures a more homogeneous mixture, thus resulting in a reduction in the amount of bentonite required to create the iron ore pellets. A reduction in bentonite usage resulted in a significant cost saving in the production of green iron ore pellets. Lancaster Products works with many fertilizer companies, mixing and granulating both mineral and organic fertilizers to create a range of products for residential, farming and golf course usage. Our fertilizer customers enjoy the ability to alter the size ranges to create different product granule sizes for different markets and the ability to create a homogenous all in one granule. Carbon black in its milled process form is extremely flighty and difficult to handle. 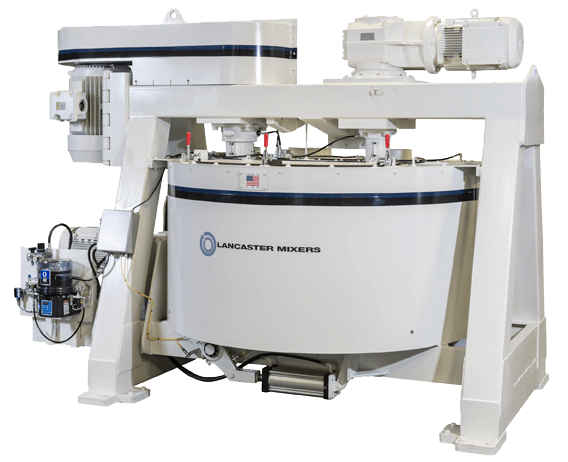 Granulating in a Lancaster Mixer is optimized by allowing for a minimal amount of binder. The granulated product is much easier to handle and because it is densified, dust from handling is nearly eliminated.